MHM is the market innovator of Power Generation equipment and Generator accessories to the UK Rental/Hire, Construction, Agricultural, Electrical, Rail, Pipeline, Quarry and MOD sectors. Petrol & Diesel Generators from MHM are built to the highest quality and have a well-earned reputation throughout the UK and globally for their reliability. Over the years MHM has always shown commitment to providing excellent customer service and a dedicated attitude to meeting customer specifications and a first-class after sales back up service. All MHM Generators are manufactured, tried and tested in our Italian Tekno Project factory. A full range of Generator spare parts are stocked with workshop and field Power Generator service engineers available for repairs and maintenance throughout the UK. MHM has invested in state-of-the-art facilities which provide Generator training programmes that are tailored to suit the specific needs of individual MHM clients. 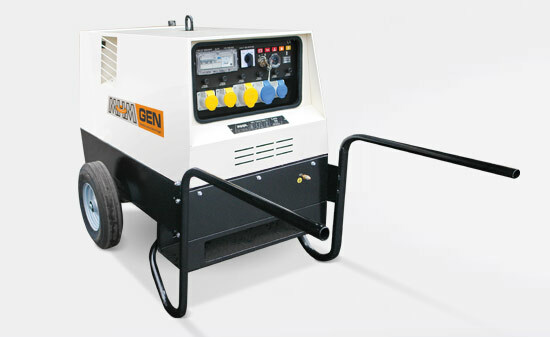 MHM is the sole UK & Ireland distributor of Tekno Proget generators and has been since1978. Our Generators are manufactured in custom-built facilities based near Milan, Italy.